As one of the most energy-efficient, durable products we offer, our Prodigy siding can work wonders for your home and your wallet. Prodigy Vinyl Siding is engineered with 1-½ inches of insulation underneath a thick, rigid vinyl surface to perform flawlessly in all weather conditions. Factor in the natural look and texture and you can see why Prodigy is our top of the line Vinyl Siding. Learn more today! Our 4000 Series Vinyl siding from Coventry and Odyssey features double clapboard, triple clapboard and dutch lap profiles. This line is also available in 20 different hues, including four brand new shades. 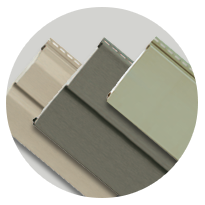 And with a weather-resistant vinyl exterior and a sturdy nail hem, our 4000 series siding styles are built to last. 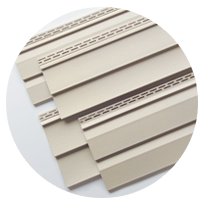 Conquest Vinyl Siding is the practical move for your home’s exterior. Requiring little maintenance, this siding series asks very little of the homeowner. It is a durable, beautiful product for an attractive price, giving you the most for your money. 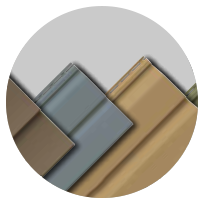 Click here to see if Conquest Vinyl Siding is right for your living space.